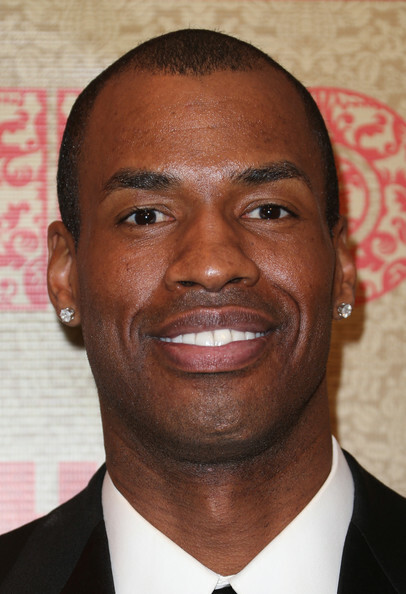 *The White House announced early Monday that openly gay professional basketball player Jason Collins will sit with Michelle Obama and Jill Biden when President Barack Obama gives his annual State of the Union address to the nation on Tuesday. Collins made history in April 2013 when he became the first NBA player to come out as gay. Also seated in the first lady’s guest box will be Carlos Arredondo and Jeff Bauman, survivors of the Boston Marathon attack in April; Gary Bird, a fire chief from Moore, Okla., which was hit by a devastating tornado last year; Joey Hudy, a 16-year-old entrepreneur and intern at Intel; and Kathy Hollowell-Makle, who was named District of Columbia Public Schools’ Teacher of the Year. The White House will announce more guests in the lead-up to the president’s address. Other notables heading to the State of the Union include conservative radio show host Sean Hannity, a guest of Rep. Louie Gohmert (R-Texas), and Chad Henderson, a guest of Rep. Steve Stockman (R-Texas). Henderson caused a stir in October when, amid problems with Obamacare’s federal website, he told reporters that he successfully signed up for health care, only to reveal later he did not. The president’s policy teams have been meeting since Thanksgiving to talk through policy ideas for the address, according to background materials provided by the White House, and they have held more than a dozen meetings with academics, policy experts, elected officials and members of Congress. Obama typically works on the speech at night, and his top speechwriter Cody Keenan works on it during the day. White House officials noted that Keenan started growing a beard at Thanksgiving and won’t shave it until after the State of the Union.